The mission of the Department of Psychiatry at Teikyo University School of Medicine is to train highly qualified and compassionate clinicians. For longer than 45 years, our department has strived to follow this mission, and our successive chairs have emphasized the importance of clinical practice and studies. At the start of fiscal year 2019, the department has 3 professors, 1 associate professor, 1 senior lecturer, 3 assistant professors, 3 teaching associates and 5 senior residents. It holds 47 open beds, and provides psychiatric inpatient treatment by a multi-disciplinary team, an extensive day-care rehabilitation program, and consultation-liaison program in collaboration with other clinical treatments. 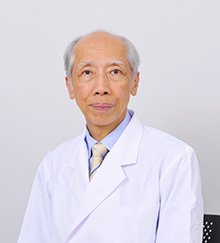 Regarding academic activities, our department is involved in 5 research areas led by the respective PIs: (1) comprehensive psycho-social treatment and psychiatric rehabilitation (day-care) on the multi-disciplinary team (Dr. Yukako Watanabe), (2) psychopharmacology and liaison psychiatry (Dr. Akihisa Akahane), (3) psychotherapy of personality disorders (Prof. Naoki Hayashi), (4) clinical evaluation of neurocognitive disorder (Prof. Mamoru Tochigi), and (5) childhood and adolescent psychiatry (Prof. Yutaka Ito).